If you find yourself in similar situtation, read on. Since version 3.0 OpenCV has included a package cv2.fisheye that decently handles fisheye lens calibration. However that module does not have easy-to-follow tutorials for readers who are not a mathematician. That’s why I wrote this tutorial. My goal is to get your fisheye lens calibrated even if you don’t have any prior experience in OpenCV (or optical science for that matter). At 30000 feet, calibrating your lens involves 2 steps. Help OpenCV find 2 parameters intrinsic to your lens. OpenCV call them K and D. You don’t really need to know what K and D are except they are numpy arrays. 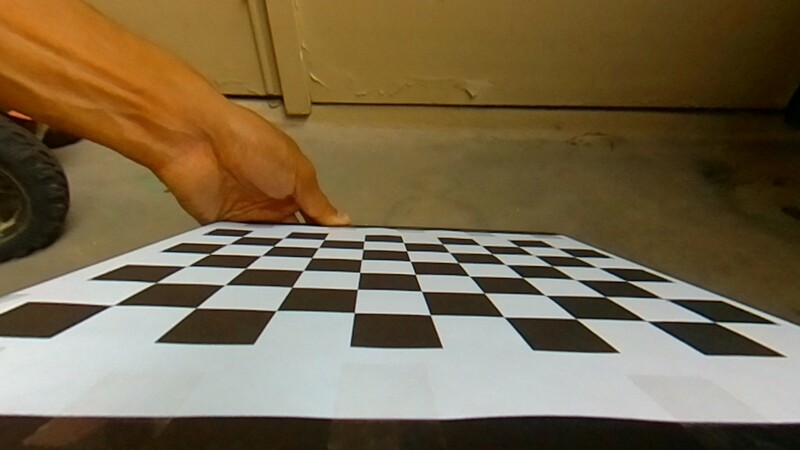 Un-distort images by applying K and D.
Download the checkerboard pattern and print it on a paper (letter or A4 size). You also want to attach the paper to a hard, flat surface such as a piece of cardboard. The key here: straight lines need to be straight. Save these pictures in a folder in JPG format. Now the fun part — write some code. Not really. You just need to copy this piece of Python script to a file creatively named calibrate.py in the folder where you saved these images earlier. 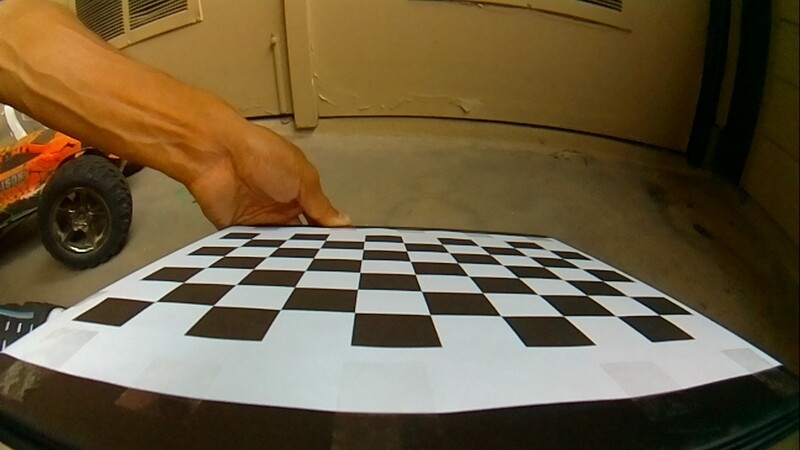 assert _img_shape == img.shape[:2], "All images must share the same size." The images you need to undistort are the same dimension as the ones captured during calibration. You are ok with some areas around the edge being cropped out to keep the un-distorted images neat. Your life will be a lot easier if this is the case. Otherwise you need to follow part 2 of the tutorial. Now run python undistort.py file_to_undistort.jpg and that’s it. If you look closely, you may notice a problem: a significant chunk in the original image gets cropped out in the process. For instance, the orange RC car to the left side of the image only has half a wheel kept in the undistorted image. As a matter of fact about 30% of the pixels in original image get lost. Ouch! If you want to have a way to get back those lost pixels, continue to part 2 of this tutorial.